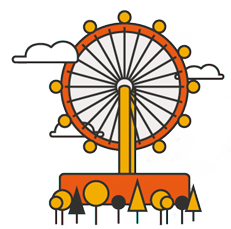 Kṛṣṇa Kri̅da̅ is a game product of Centre for Traditional Education. These transcendental toys and products are sure to enthral your kids! It is famously said by Bhakta Prahlad - "Kaumaram acared prajno", meaning that one has to practice devotional service from the very beginning of life. Devotional service is in two stages: Vaidhi sadhana bhakti and Raganuga sadhana bhakti. Children can be very easily guided and moulded to adopt to Vaidhi sadhana bhakti. They can also be easily incited to develop a loving relationship with the Supreme Lord through Raganuga sadhana bhakti. 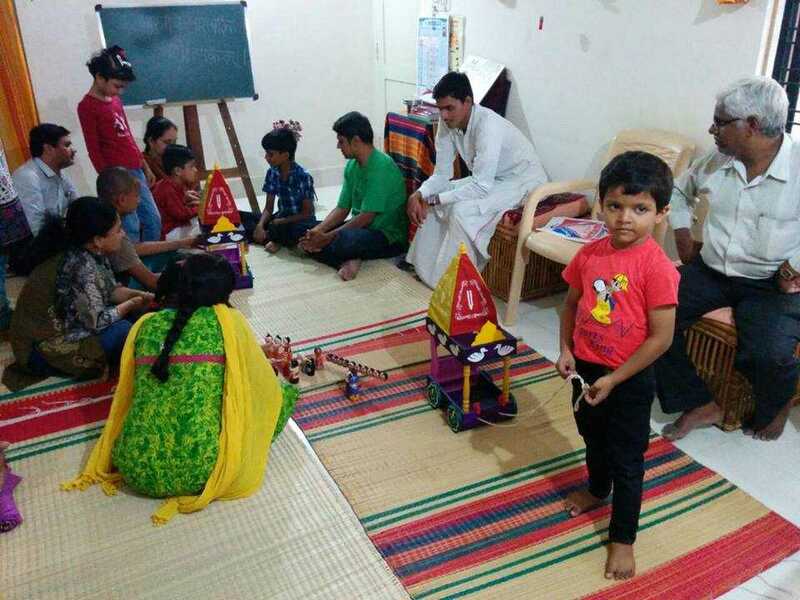 There are various toys and games prescribed for children in scriptures. Kṛṣṇa Kri̅da̅ Toys and Board Games are just that collection that act as impetus for a making your child a firmly situated and glorious bhakta! I love the twelve mahajana dolls as well as the Gomata puzzle game. I also like the jhula where I keep small Krsna deity and perform the jhulan yatra. I love the dolls of Sri Ramachandra and others. Enacting Ramayana and Mahabharata pastimes is my favourite engagement. Hare Krsna. I conduct Jagannatha Ratha yatra almost everyday at home. Whenever possible other kids also join me. Hare Krsna!